Growing up in a small town, recess was the best part of the day. I was able to run around outside with all of my classmates and play my favorite sports and tag games. As I grew older, I realized that recess was not only a time to run around, but it was a crucial part of the day. At recess, clicks were formed, discrimination happened based on gender and abilities, and safety became an issue. When I continued to play sports throughout middle and high school, I realized that being discriminated against or excluded from something that you did not excel in was an awful feeling. As I was searching for opportunities after graduation I knew I wanted to work for a nonprofit that had an extreme passion for helping kids. I came across Playworks, and after my group interview I was immediately hooked. The culture at Playworks is like no other culture that I have ever come across. High fives, good jobs, and recess is just the start of it. I constantly feel like my voice is being heard and collaboration is strongly encouraged. When I was thinking about the type of work that I wanted to get into, I knew I wanted to be a part of a community. Playworks has given me the community that I need to feel supported and appreciated, while still giving me the opportunity to learn something new everyday. I could not be happier to be in this line of work. Throughout my time as a Playworks coach and now embarking on this fellowship journey, I have realized how important the culture of an organization is to me. Healthy play, healthy community, respect, and inclusion are the four values that Playworks abides by. I grew up in a healthy community, I went to college in a healthy community, and I now work in a healthy community. This is a characteristic that I always want to have in my daily life. When I feel like I am part of a healthy community, I believe that I feel stronger and more confident with my decisions. Being a part of Playworks and the FAO Schwarz Family Foundation Fellowship community has taught me about creating long lasting relationships with the people around me. All of this has led to being in a healthy community and learning from others. 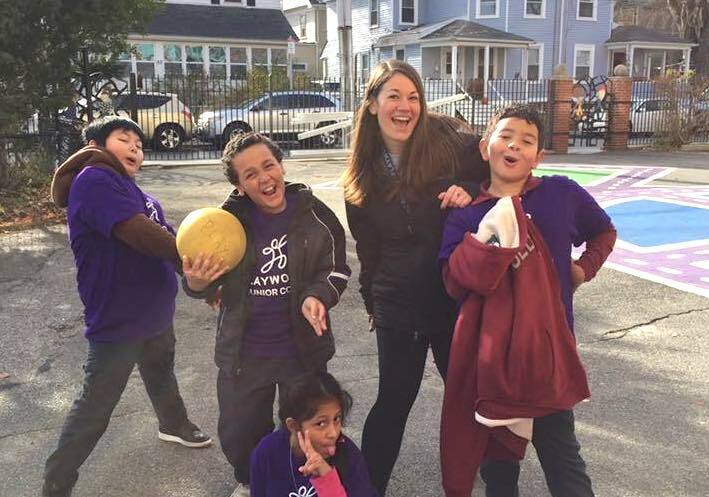 Working for Playworks has changed my view on working, and giving back and I am excited to see what the future holds!